The BATTLE is back… and it is ON! 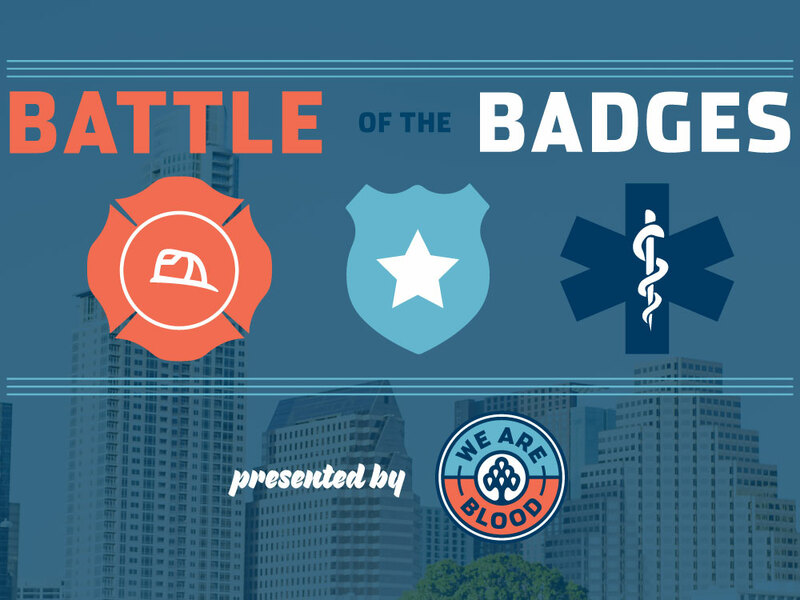 Our annual Battle of the Badges blood drive competition among Austin Fire, Austin Police, and Austin-Travis County EMS will take place July 1-7 and we need you to step up and show us which department should win! The department that receives the most votes by blood donation will be declared the winner of this annual friendly competition. So… what can you do to help? Well that’s easy, DONATE BLOOD! C’mon in and show your support for all of our first responders by donating blood and voting for your very favorite agency. Come see us at any of our three donation centers July 1-8 or visit one of the designated Battle of the Badges mobile blood drives (the mobile drive schedule is below) in order to make your vote count. You can make an appointment online by clicking here or on the name of the mobile drive in the schedule below. You can also always call us at 512-206-1266 for help making an appointment or answering any questions you may have. Walk-ins are welcome, too (you just might have to wait in line a bit longer). *click the location to see the blood drive address, more details, or to make an appointment!